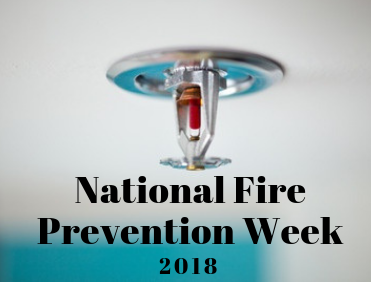 National Fire Prevention Week is quickly approaching on October 7th and just like every year, the NFPA (National Fire Prevention Association) has created a campaign to generate awareness around fire safety! Read on for some ways that you can look, listen and learn so you’re prepared in the event of a fire! Keep your eyes open for anywhere that a fire could occur. Search your home and seek out potential hazards—calling in professionals when necessary. At the beginning of every winter, make sure your heating equipment and chimneys are inspected and up to fire code, and always turn space heaters off when you leave a room. When cooking, make sure to remove any excess clutter from the cooking area that could catch fire. Lastly, keep an eye on candles and any smoking materials as they can easily turn from an open flame to a residential fire. Smoke alarms are usually the first way you are alerted to a fire, so making sure you have a smoke alarm set up is vital to ensuring your safe in the event of an emergency. Make sure it has working batteries and there is one alarm on every level of the home. Test your smoke alarms every month and replace any system that is over 10 years old. Also, make sure they are interconnected so that if one is triggered, they will all spring into action. When in an emergency fire evacuation, you have only a few minutes to escape. For every room in your home, identify two escape routes, a path from each exit to the outside, and a place to meet once you are all safely out of the home. Planning is necessary to ensure everyone’s safety in the event of a home fire. Look, listen and learn during this year’s National Fire Prevention Week and ensure that you and your family have a fire emergency plan in place. Include a residential fire sprinkler in your plan this year. With Fire Tech Residential Sprinklers, LLC on your side, we’ll provide you with a dependable fire sprinkler system installation, adding another level of safety to your home. Browse our services and call the office closest to you to speak with one of our technicians!